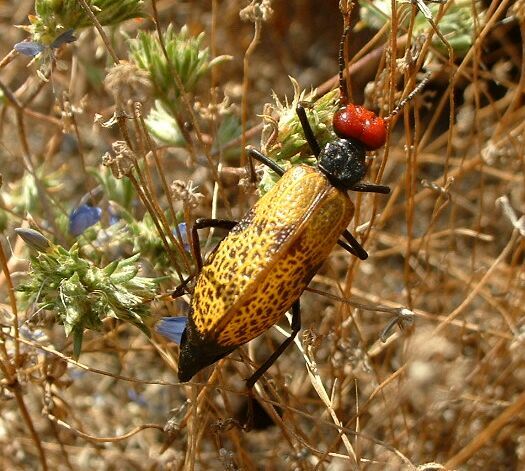 These large, colorful beetles appear in June and July in the Lakeview Mountains, in fairly large numbers, but only in patches of the sapphire woolstar. This is Tegrodera erosa erosa. It is found in coastal southern California and adjacent foothills: also Baja California Norte. Tegrodera latecincta is found in the Antelope and Owens Valleys. Thanks a lot. Edits made.